2. Place the fish fillet on a 16 inch piece of parchment paper and sprinkle it with the salt and pepper. Drizzle the lemon juice and olive oil over the top of the fillet. Lay the thyme on top and place the olives next to the fillet. 3. Beat the egg together with 1 tablespoon of water for an egg wash. Brush the egg wash around the edge of the parchment paper and fold it in half. 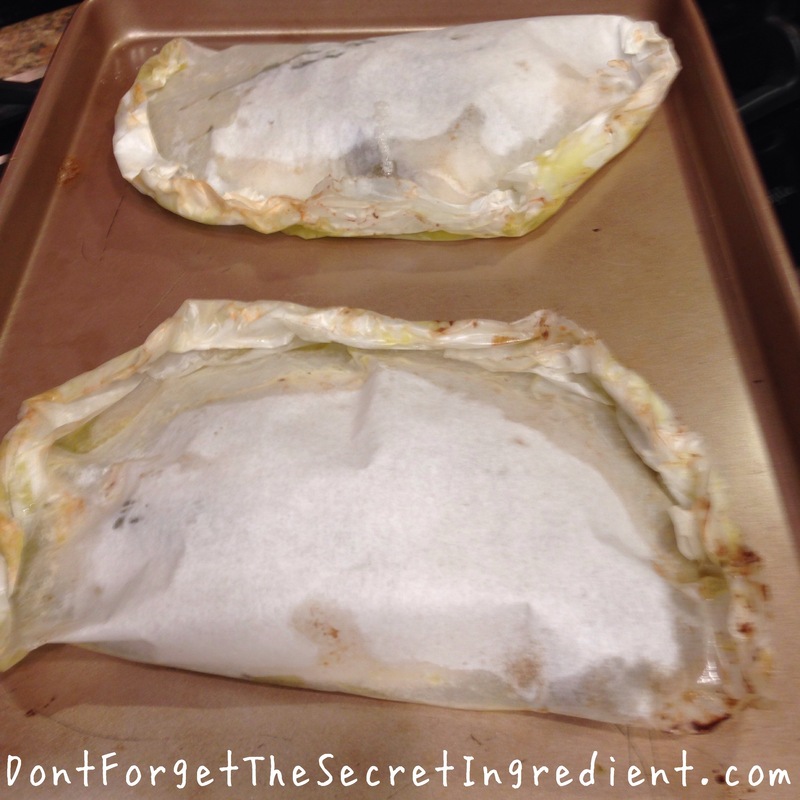 Carefully fold the edge of the parchment paper under and around the fish to make a package. 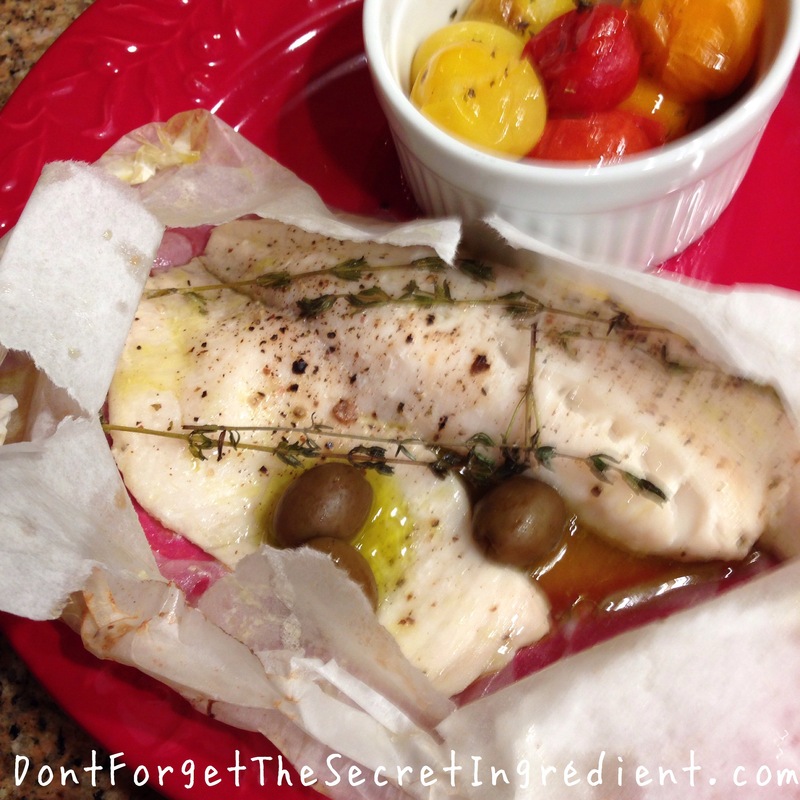 4.Place the package on a sheet pan and cook for 15 minutes, until the fish is cooked through. Serve hot in the parchment paper. Note: This recipe was inspired by celebrity chef, Ina Garten. I found her original recipe in her Make Ahead Cookbook. It is simple to make and if you are having a dinner party, you can easily multiply the recipe as needed. The fish packets can be made a few hours ahead and placed in refrigerator for fuss free entertaining. Enjoy!